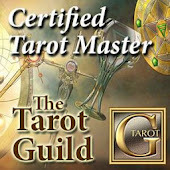 Tarot Dactyl: Tarotdactyl Talkin' Color Therapy on The New Angels Monday Show! 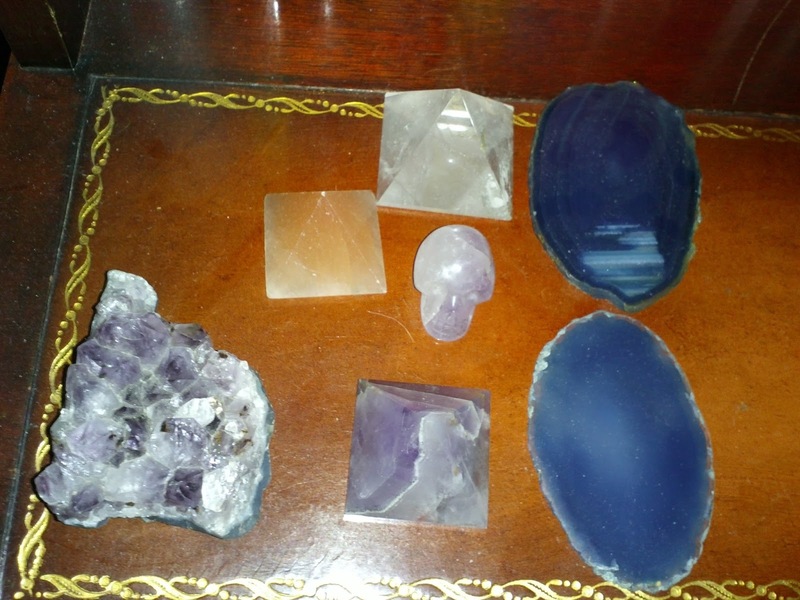 Tarotdactyl Talkin' Color Therapy on The New Angels Monday Show! Tune in Monday, June 24, 2013 (4pm ET/3pm CT/1pm PT) for a Color Therapy discussion on The New Angels Monday Show on Nulife Radio. I'm excited to be talking about this subject for a number of reasons. On a personal level, I have found color therapy to be an essential part of feeling healthy and balanced in my daily life. There are so many inexpensive (and fun!) ways to bring beneficial colors into our lives. We'll be talking about all this and more on the show, so be sure to tune in! 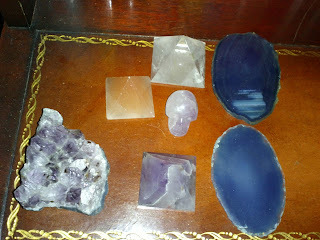 Meanwhile, here's a few pics of some of the ways I've chosen to practice color therapy. #1 -- Chakra boxes: I bought these little boxes unpainted at a Michael's store for about $2 each. 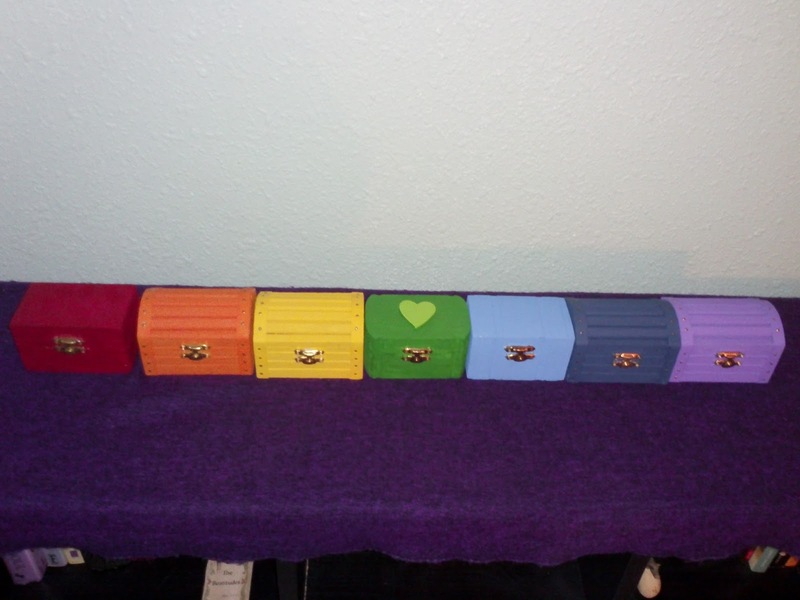 Using inexpensive acrylics, I painted a box for each color of the rainbow, the chakra colors. 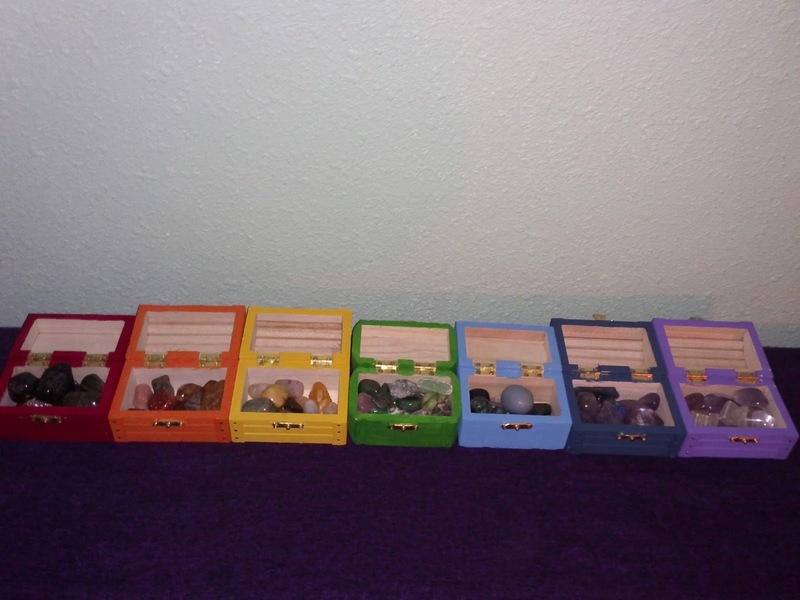 Inside each box, are crystals that I use for that particular chakra. 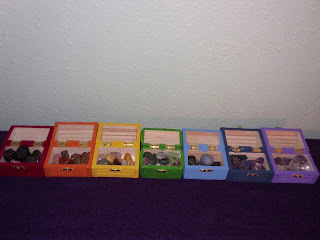 #2 -- Crystals: This is one of my favorite ways of using color therapy! 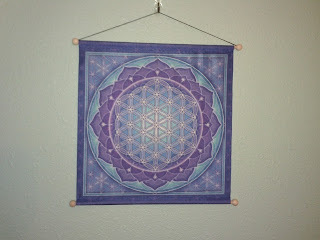 To me, they're like jello -- "there's always room for more crystals"
#3 -- Artwork: The Flower of Life is one of my favorite symbols. 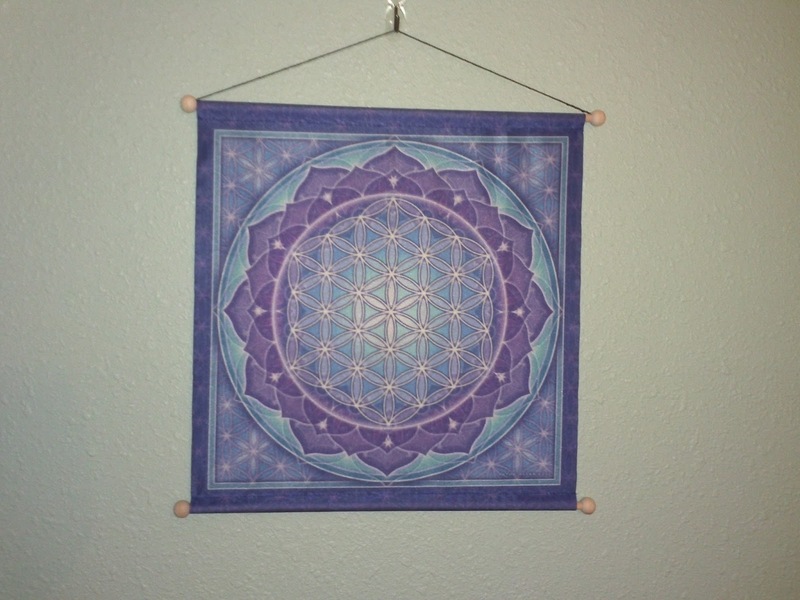 I was looking for more purple and blues for my room and was lucky enough to score this on Amazon for about $15. 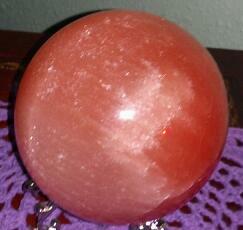 Love using it for meditation as well! 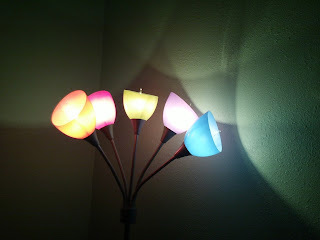 #4 Colored Lighting: I got this adorable lamp at Home Depot for $18! We'll be talking about the benefits of Color Therapy on the show. Feel free to call in to to share your colorful experiences! Join the conversation on The New Angels Monday Show!